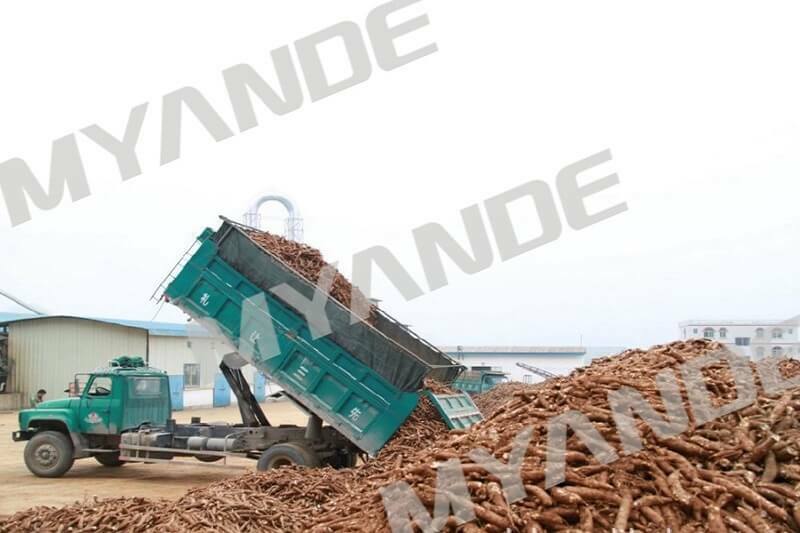 potato starch process,cassava starch process technology For Sale | Myande Group Co., Ltd. 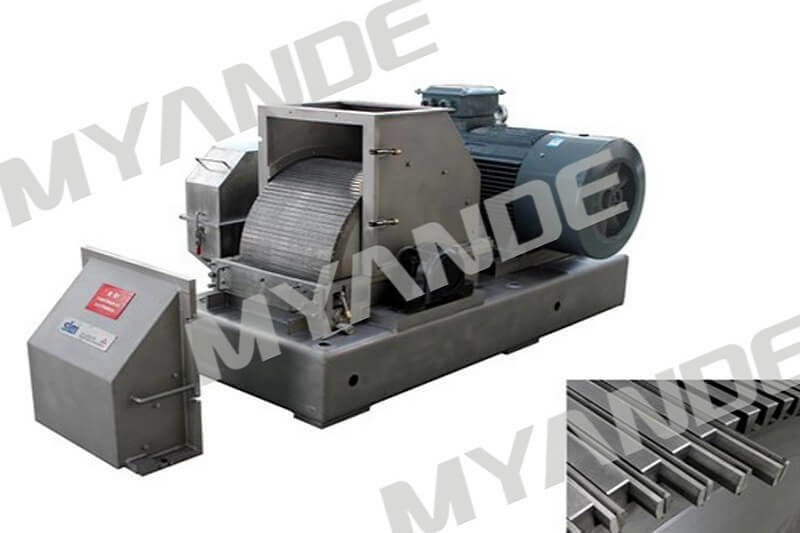 Raw material are delivered to cleaning machines for cleaning by belt conveyor. 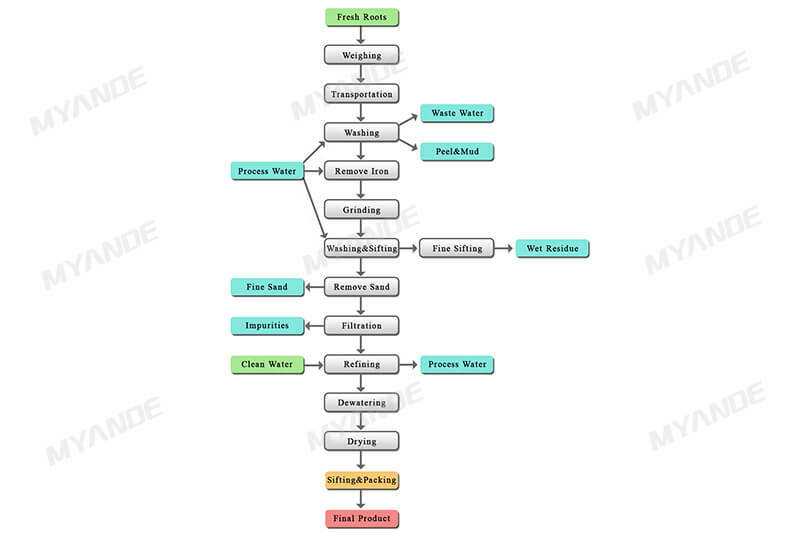 Most of the washing water is coming from process circulation water. After the peeling rate over 85%, the material are delivered to cutter & rasper section. The washed water together with impurities are discharged into tanks for settlement. The decanted water will be recycle back to cleaning machine. Raspering effect is to destroy organizational structure, so that tiny starch granules can be disintegrated and separated from the cassava root/ potato. The process uses internationally accepted rasper cutting process. The cassava diluted slurry are delivered into vertical centrifugal sieve for washing. The crude starch milk come from sieve. The undersize sieved material are crude starch milk which will be pumped cyclone for de-sanding and refining. The wet fine fiber will be discharged from process. Adopt disc separator for refining and concentrate starch milk. The disc separator and hydro-cyclone are connected in series. 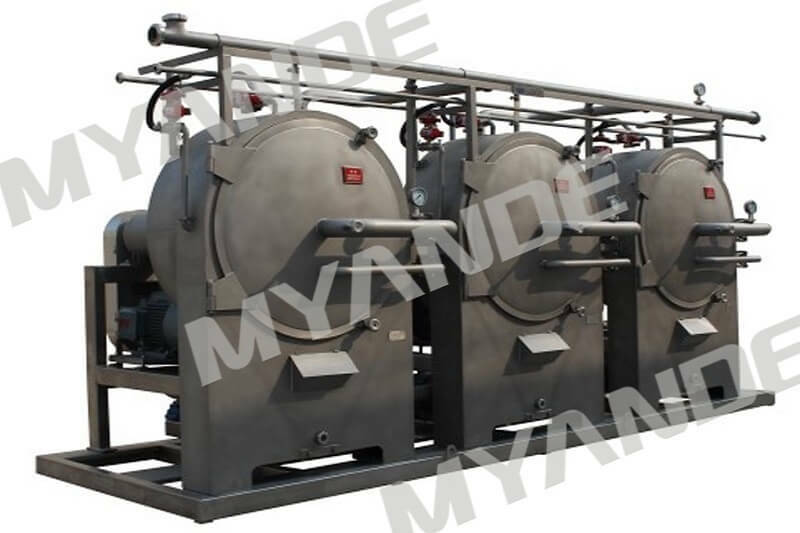 The feeding concentration to separator is 5.5～6.5°Bé. 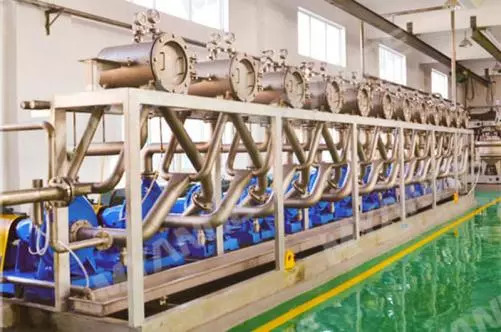 The output of hydro-cyclone is 18～21°Bé. 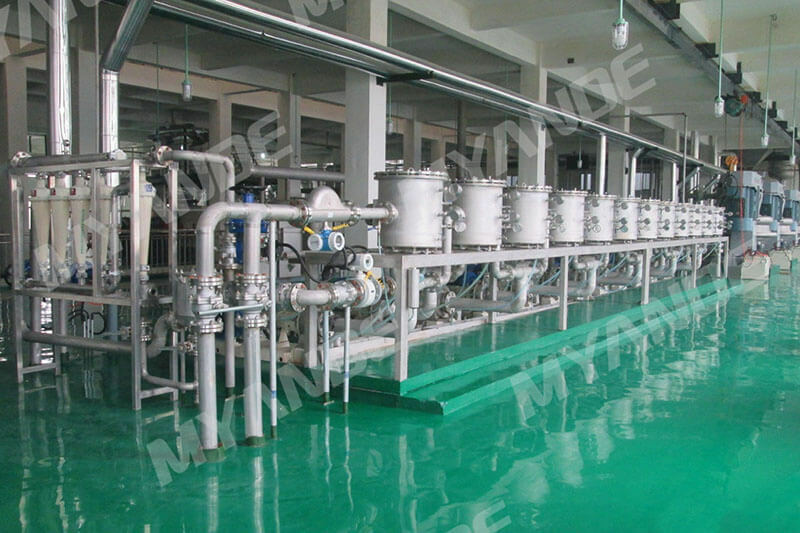 The refining starch milk adopts peeler centrifuge for dewatering. 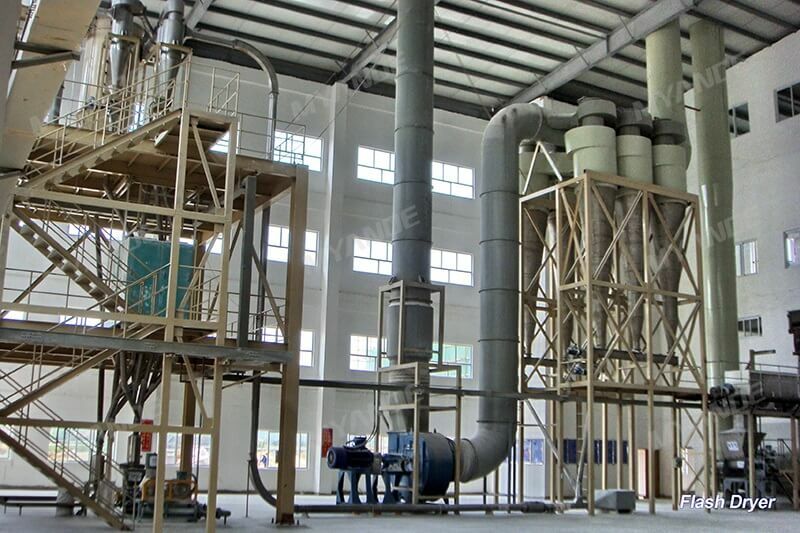 The dewatered starch with moisture 36% are dried though flash dryer. After drying, the dry starch are cooled and transported into packing machine for package.